NALC belongs to its members and depends on their active participation to thrive. Members enjoy many benefits and many opportunities to serve their fellow carriers and the community through their participation in union affairs and events. Below are resources on some of the privileges and benefits of membership in the NALC. Just joined? 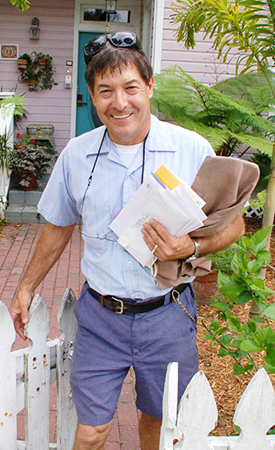 Click here for information for our newest members on how to make the most of your NALC membership and letter carrier career. Imagine having the security of a not-for-profit health insurance plan that was designed for and is run by letter carriers, with comprehensive benefits at an affordable rate? Whether you are a long-time letter carrier or just starting your career, the NALC Health Benefit Plan is a letter carrier’s best choice for health insurance. The foundation has been set up to function in two ways: by providing hands-on relief and by receiving donations as a means to offer financial grants. The United States Letter Carriers Mutual Benefit Association (MBA), founded in 1891, was created for the benefit of NALC members and their families. The MBA is the life insurance division of the NALC. Today, the MBA has more than $224 million of life insurance in force on its members. Insurance plans offered by the MBA are designed to give NALC members and their families the best possible protection for the lowest cost. Your NALC membership comes with extras including access to the Union Plus discount and benefit program, scholarships, education opportunities, the Postal Employees’ Relief Fund (PERF) and many rewarding community service opportunities. Click here for details. The NALC Store’ Insignia Collection offers wearables, gifts and supplies, union-made and made in the U.S.A., prepared especially for the members of the National Association of Letter Carriers. Check out the products available and show your union pride! The NALC prides itself on member participation and governance. Every two years, members elect delegates to its national convention, the union’s supreme governing body. As one of the largest union gatherings, NALC’s biennial convention reflects a broad cross-section of members’ views. 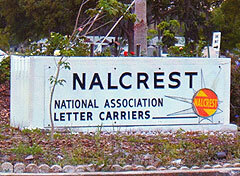 Letter carriers make the best neighbors, especially at NALC’s own retirement community, Nalcrest. Located in Central Florida, midway between Tampa on the Gulf Coast and Vero Beach on the Atlantic Coast, Nalcrest features 500 garden-style apartments arranged in clusters of four to 10 apartments—all on ground level—surrounding two lagoons on the shore of a large, beautiful lake. At Nalcrest, which just celebrated its 50th anniversary, retirees enjoy many amenities on the site, including an Olympic-size swimming pool, hot tub, shuffleboard, horseshoes, basketball, bocce, miniature golf, tennis, chapel, library and travel club. Residents create all sorts of social and hobby clubs too. Best of all, they enjoy each other’s company. Efficiency, one-bedroom and two-bedroom apartments are available. The National Ladies Auxiliary—forerunner of today's NALC Auxiliary—was established in 1905 by a group of women interested in letter carrier issues because of their relationships as the wives, daughters, mothers and sisters of letter carriers. Their aim was to assist in gaining favorable legislation to provide better working conditions for letter carriers, including laws providing for Sunday closing, shorter work days, sick leave, compensation for injuries received while on duty, salary increases, and annuities for widows and survivors. Today, the membership has expanded to include both female and male spouses, relatives and friends of letter carriers, but the basic goals of promoting the interests of letter carriers and their families remains the same. How to join the union if you aren’t a member yet. How to contact the right person at NALC to answer a question or handle a problem. An NALC sponsored foundation whose mission is to alleviate the suffering of members affected by natural disasters, including earthquakes, tornadoes, hurricanes and wildfires. The Leadership Academy, open to all active NALC members, is designed to both develop and enhance the knowledge and skills that are essential for NALC leaders.